Weldekel Haile was educated in Syria and was the first Jebha to flee, According the account of Tesfamariam Assefaw Woldenkel, Haile did not like Issayas [ Kidana Aida 2004 ]. 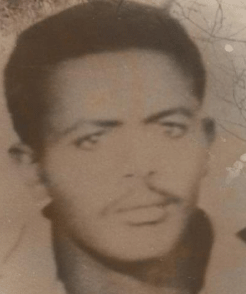 During the Menka movement in 1973 Woldenkel Haile who was head of the security department said that the Menka ringleaders prisoners did not commit any crime except breaking military discipline rules. He made clear his stand which was completely different from Issayas . 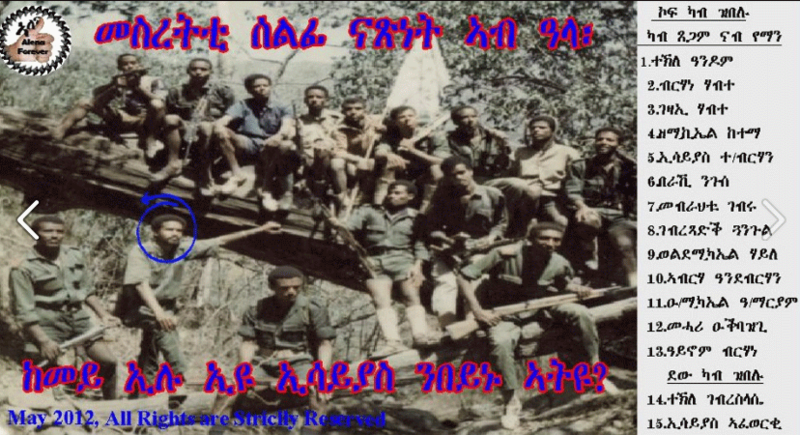 Because of this Issayas was not happy and Woldenkel Haile was sent to the Hailitat (front line sometime in 1974 [Afewerki, Tewdros, 2003)[[Interview with Tesfay Temnewo [Part 23]] .. 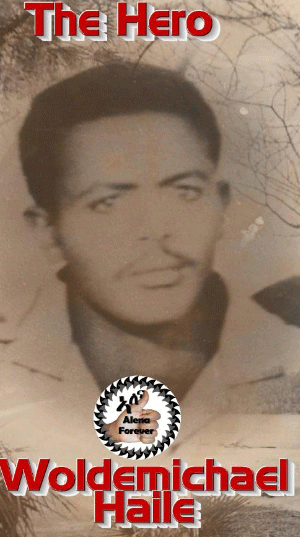 He was the most distinguished military leader and had led the Eritrea People’s Liberation Army to victory at the strategic town of Segeneti in 1977 but was not a member of the central comittee in 1977. He was killed shortly after the victory by an unidentified gunman at Segeneti, his birth place. When this occurred there was a radio message in this code " Itia Abai Lham Ab Mereta Wediqa", meaning that the great leader rest on his land".This is also confirmed from other source መደባትና፡ ነቲ ኪንዮ ጸሊም ራዕዲ ዘሎ ደበና፡ ምቕንጣጥ ኢዩ!!! - 4ይ ክፋ 2008 "መልእኽቲ ሚስጢር (ኮድ) ኦፕረይትተር ንኩነታት መቕተልቲ ወልደንኪኤል ሃይለ ኣብ ኩናት ምሕራር ሰገነይቲ ንኣብነት፡ “እታ ላም ኣብ ዓደ ኣቦኣ ተሓሪዳ” ኢዩ ዝብል ነይሩ። [Refering to this code Tewelde Kidane wrote Zekeberka Resoum tegebro zeleka gosguas naybehaki zenad iyu iti bgudai jegna w/micael Haile zehabkayo habereta darga kulu haki kebhal yekal bzyada gn neti nay radio zenebere Berhane ajwa zebhal intezehtet tsebuk neru mekniatu nesu kab zebelo weskeblelka neta habereta wey code nay meswati mstekebela n' Ibrahim Afa iyu hibwo kabu Ibrahim afa yekid imber ms zenbaliu eu keydu ms bele Berhane hazinu nseled msweredu Berhane nab E.l .f kebabi maiedaga edu hibu slezi Berhane entezerkeb mehashe. በርሀ ጻዕዳ ነብሰይ ኣይገብረለይን እዩ፤፥ ንዑ ናብ ኩናት እተዉ ክብሎም ኣነ ውን ምስኦም ክኣቱ ኣለኒ፥ እዚ ትብልዎ ዘለኹም መምርሒ ግን ኣብ ካልእ ክትግበር ኣለዎ። ኢልዎም። ስለዚ፥ እቲ፡መስዋእቲ ኣይተርፎምን እዩ ነይሩ። መኽንያቱ ናብቲ ኩናት መሪሖም እዮም ዝኣትዉ። ሕጂ እንታይ እየ ክብለካ ደልየ? እቲ ዝብሃል"